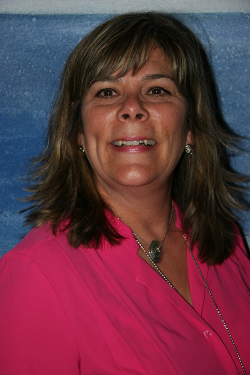 Dr. Tavernier has 35 years’ experience as a registered nurse and educator. She began her nursing career as a Pediatric Nurse in 1983. Seven years later, she became a Neonatal Intensive Care Nurse and Labor and Delivery nurse until 1997 when she worked as the Triage Supervisor for a large Sacramento area Hospital overseeing a 550 bed hospital. In 1998, she became a credentialed School Nurse. In 2001 she started her career in academia, educating students for the registered nursing workforce. With her Doctoral Degree in Educational Leadership, she became the Director of the School of Nursing at Stanislaus State in 2011. At the time, there were only three programs in the School of Nursing, and she oversaw the development and implementation of four additional programs during her time as Director. Debbie is a proud student of the California State Education system, starting with her Associates Degree at Ohlone Community College in 1983, her Master’s degree from California State University, Sacramento in 2003, and her Doctoral degree from CSU Stanislaus in 2011. She is grateful for the affordable educational opportunities the state system afforded her. Debbie is an Executive Committee Member of the California Association of Collegiate Nursing (CACN), and collaborated on a white paper for the organization regarding increasing simulated experiences for nursing students. She is very proud of the fact that Stanislaus State graduates are adding diversity to the workforce with over 55% of the students’ enrolled coming from diverse backgrounds. Her dissertation titled “Critical Thinking Development: Using Student Narrative to Understand Women’s Evolving Role in the Birth Experience, supports her interest in teaching nursing students how to critically think. Debbie was born in Traverse City Michigan and grew up in the Central Valley in Ceres California. With stints in Fremont California, Reno Nevada, Sacramento California, and back to the Central Valley in Hughson California. She enjoys her role as the Nursing Director at Stanislaus State and looks forward to the continued growth of the School of Nursing. "Producing excellent practitioners for the nursing proofession is not only a duty, but a responsibility"